Well, I doubt I could have found a more suitable book to read during the week of the royal wedding if I’d tried! I wonder what you thought listening to the African American Episcopalian Bishop Michael Curry preaching about love in St George’s Chapel in Windsor Castle on Saturday …? I personally loved his energy, his conviction, his relevant message, not just for the happy couple but for the world. Love would indeed redeem so many situations. And boy, did he put his heart and soul into it. He stood out in sharp contrast to the many staid, formal, set-texts of so many royal events. But even the very British Archbishop of Canterbury shared lots of smiles and humour with the first-name-terms royal couple. This wedding has broken with so many traditions. A white prince of the realm marrying a mixed heritage American divorcee … in a church … in the presence of the Queen. The bride – a free-thinking actress – walking herself down the long aisle, only her mother of all her family present to witness her transition (my heart went out to her). The music a mix of ancient and modern, including a black gospel choir, a black cellist. Ordinary people who work tirelessly for humanitarian causes chosen guests instead of parliamentarians, heads of states, foreign royals. A lemon and elderflower sponge in place of the usual rich fruit. I could go on. It had all the hallmarks of an intimate wedding made to measure for the bride and groom, but on a massive scale and shared generously with the world. 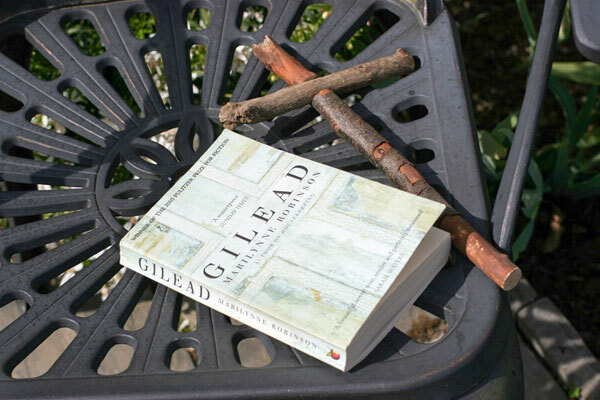 And Gilead by Marilynne Robinson picks up so many of the themes we saw during that historic occasion, including a mixed-race ‘marriage’! I bought it at the Christian Aid Sale I told you about last week – the book not the marriage! The narrator is a minister of religion, Reverend John Ames, now in his late seventies. Totally unexpectedly, already in his sixties, he falls in love with and, at her instigation, marries a much-younger woman from a different social stratum, and together they have a son. Ames lives in daily expectation of his heart failing, he knows he will not be around to see his boy grow to manhood, so he commits to paper, the kinds of things he would want to say at opportune moments if he were to live longer. It’s difficult to capture the beauty and tenderness of this writing. The Reverend comes from generations of men of the cloth and he’s steeped in the Bible and spiritual thinking; he is thoroughly authentic and believable. But his gentle exhortations and reflections are not dull or hackneyed; they’re full of compassion and understanding and wisdom. He roams over many important issues for his boy, illustrating his philosophy from his own life, his own mistakes, his own secrets, reviewed with honesty and humility. Forgiveness, temptation, covetousness, pastoral responsibility, relationship, heaven and hell … he shirks none of them, revealing a glorious all-embracing Christian love reminiscent of that Bishop Michael Curry spoke about at the royal wedding, hard won at times, an ongoing work at others, but ultimately a triumphant declaration of what it means to put the gospel into action in one’s life. One illustration will suffice. Ames knows all too clearly that his love for his son is all-consuming. If anyone threatened the boy, he knows his principles would fly out the window. Harm to you is not harm to me in the strict sense, and that is a great part of the problem. He (Jack Boughton) could knock me down the stairs and I would have worked out the theology of forgiving him before I reached the bottom. But if he harmed you in the slightest way, I’m afraid theology would fail me. It surprised me to see that this was only the second novel by this most accomplished writer – her first being 23 years earlier! Even more remarkable, it won several awards, including the 2005 Pulitzer Prize for Fiction. In today’s secular world, that a work of such meditative calm, such spiritual intensity, such simple grace, such solemn serenity, should be so acclaimed, is something of a miracle in itself. 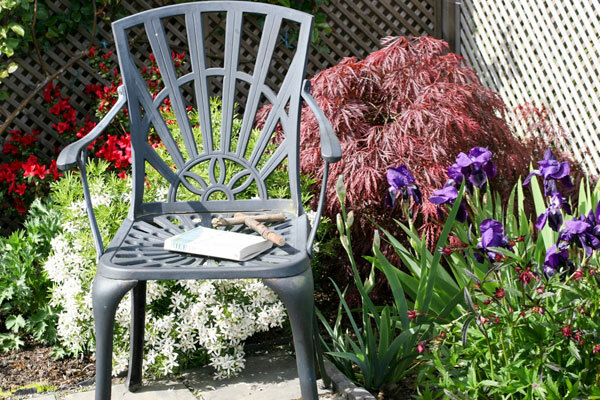 As I finished it in the garden on the beautiful sunny day of the royal wedding, It felt like a benediction.